Hello there Counter-Strike fans! I do have some good news for all of you! We are all awaiting for the DreamHack Masters CS:GO tournament that will be held in Marseille, France this coming April 18th all the way up to April 22nd. The venue for this place will be the Le Dome de Marseille, which is a couple miles down from downtown. 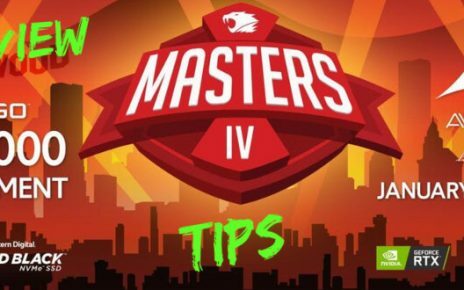 In this article I am going to make a short preview of this competition as long as my betting predictions and tips for the CS:GO DreamHack 2018 battle! The tournament will have a $250,000 prize pool, with the majority of the prize will be split between the first and second placers. First place will be getting a whopping $100,000 and second place will be getting $50,000. The remaining prize will be distributed between places 3rd all the way to the 16th. The competition will feature 16 of the hottest teams to have ever played in CS:GO. It will feature 12 invited crews and the remaining 4 will be coming from the regional qualifiers. It will feature a majority of the squads coming from the EU, thrown in with a couple North America and South America teams and a single representative from Asia who qualified through the regional qualifiers. There are also a lot of announced roster changes and inactive players which will affect the teams’ composition. The tournament will have two phases. First, the Group Stage will start from April 18th to April 20th. It will feature 4 squads on each group, with the top two advancing from each group. It will be in a double elimination format, with the opening and elimination matches as a Best of 1. The decider and winners matches will be played on a Best of 3 format. The remaining 8 crews will advance to the Playoffs which will start from April 21st to April 22nd. All matches in the playoffs will be Bo3 matches and it will be featuring a single elimination bracket. A majority of the tournament will feature European lineups. These are Astralis from Denmark, Team EnVyUs and G2 Esports from France, Fnatic and Ninjas In Pyjamas from Sweden, Natus Vincere from Ukraine and the international rosters of FaZe Clan, Gambit, and Mousesports. It will also feature teams who qualified on the qualifiers such as the all Turkish lineup of Space Soldiers and the international roster of Valiance. We will not, however, be seeing the other powerhouses such as North, Godsent, and Virtus.Pro as they failed to qualify for the tournament. The tournament will also host squads coming from North America such as Cloud9 who won the recent ELeague Boston Major and Team Liquid. They will also be accompanied by Renegades who qualified by way of the North America qualifiers. Joining them will be the South America force SK Gaming all the way from Brazil. We will however not be seeing Immortals as they have failed to qualify for Dream Hack. TyLoo will be our only team from Asia who got into the tournament by winning the regional qualifiers from Asia. There has been a lot of player shuffle prior to the Marseille DreamHack 2018. There are roster changes and player trades from crews such as FaZe Clan, SK Gaming, Team Liquid, Cloud9 and G2 Esports. First off, Stewie2k who was instrumental in the ELeague Boston Major win, left Cloud9 and joined SK Gaming. That spot has been filled by FNS, who they got recently from Counter Logic Gaming. With the lineup completed by FNS, Skadoodle, who is the longest standing member of Cloud9 announced his inactivity. Currently, C9 is still looking for someone to fill that role. With Stewie2k joining SK Gaming, TACO who plays the same position as Stewie, left SK to join Team Liquid. He filled the spot that steel opened when he stepped down from Liquid. Mixwell, who used to play for Optic Gaming is currently on trial at G2 Esports. He will be replacing Shox, who will be sidelined to the bench. FaZe Clan’s olofmeister will be replaced by Xizt as he will not be playing the tournament due to personal reasons. These roster changes will affect how the lineups will play together. In case of C9, Skadoodle and Stewie2k will be very hard to replace as they will lack the star power and the in-game leader that these two provide. Let’s all hope that FNS fulfills both roles. TACO as a replacement for steel is even better as TACO is a high IQ player. He does understand when to be passive and when to be aggressive and would be a very good B anchor at some maps such as Train and Mirage. Stewie2k joining SK will be very formidable as he would be able to work together with coldzera on pushing and trading, as Stewie is a very good entry fragger. 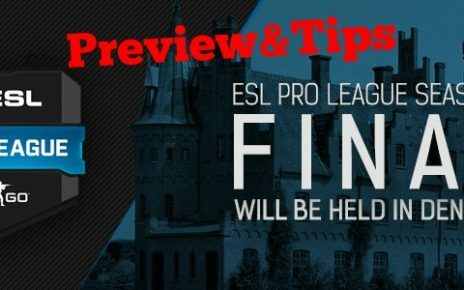 This will bolster SK’s lineup as they tend to win the match when they have a man advantage on the round and close the round up really quick. Olofmeister’s loss will not really affect the lineup of FaZe as Xizt fills that role completely. Lately, olof has been off his game too and Xizt will see this as an opportunity to prove himself that he belongs to the big boys. There are a few squads that would break into the Playoffs. I can safely predict that FaZe Clan, Team Liquid, SK Gaming, Ninjas in Pyjamas and G2 Esports make it into the playoffs. If Skadoodle returns to C9, they might break into the playoffs but it is highly unlikely since they will be missing the fragging power that Stewie2k provides. However, if Shroud returns to C9, then that is a different story. The final spot for the playoffs will be highly contested by Team EnVyUS, Astralis, Natus Vincere, and Gambit. These stacked crews will be too much to handle for squads such as TyLoo and Space Invaders as they currently lack experience playing in big stages and majors like these. FaZe Clan will still make it’s way all to the finals like what happened in the previous majors and premier tournaments they have joined. They are a star-studded lineup and anything can happen. Heck, if C9 turns up, we might see a replay of the finals back in ELeague Boston. We can all hope it goes that way. However, I predict that SK Gaming and FaZe Clan will be facing each other in the Marseille finals as they currently are the top two stacked lineups that we currently see in this tournament. If I was to make a betting prediction for the CS:GO DreamHack 2018 finals, my money would be on SK Gaming as the betting odds would be higher for them. They will be considered as an underdog due to the recent performance of FaZe Clan. 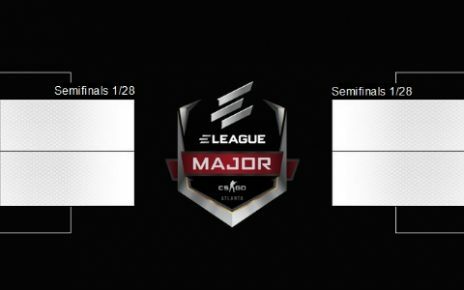 Atlanta CS:GO Major 2017 Playoff Predictions: Who Will Win?